We are a well-known organization that is engaged in manufacturing, supplying and exporting a comprehensive range of Wood Fired Boilers. Designed to perfection, all our boilers are manufactured using quality raw material, which is sourced from the reliable vendors of the market. In addition to this, our boilers are thoroughly checked by expert quality controllers on various parameters to ensure flawlessness. 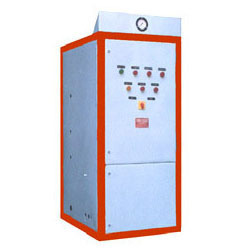 We have established ourselves as a renowned manufacturer, supplier and exporter of a vast range of Shell Type Steam Boilers. These boilers are widely demanded by various industries like food & beverage, chemical, petrochemical and pharmaceutical. To meet customers’ requirements, we provide these boilers in different sizes and models at most competitive prices. We have emerged as a prominent manufacturer, supplier ad exporter of quality-approved range of IBR Boilers. Demanded by various industries, these boilers are provided to customers in various models and designs at industry leading prices. Also, our logistics personnel enable us to deliver these boilers at clients’ destination within the set time frame. Looking for Steam Boilers ?